She's getting married July 27th! 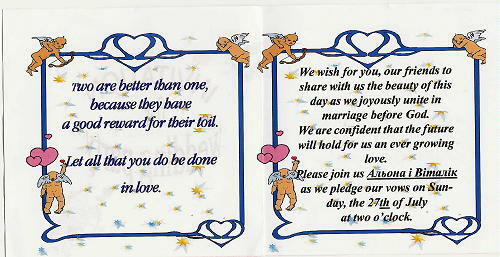 We received this nice letter from Alyona Kubik who will be getting married on Sunday, July 27th. I called her after I received this letter. She says that she sent emails and invitations to several of the family, but we had not received anything either by email or s-n-a-i-l mail. I wish very much that you along with all your family would come to my wedding. In Ukraine they say, "We ask you father, we ask you mother and we, the young ones, ask you to come to our wedding that will take place July 27th at 1:00 PM at the Pokrovska Church. The best gift I could ever receive would be to see all of you....to see you, Victor with your family and Oleh with his family and all the Kubiks at my wedding. I'd like to explain about my life in which you played a big role. I have completely finished school and now I teach computer science at the high school. I teach students in the 10th and 11th grade to work with computers. I also teach another course because so many people in Dubno want to learn about computers. I help and teach them. This year I finished the University. My sisters Ivanka and Tatianka are still studying. My mother Olga is working and my grandmother Vera watches over the house. Everything is fine at home. I'm sending you an invitation in the English language. I'm sorry if there are any mistakes in the language. I made the invitations all by myself on the computer at work. It doesn't look all that great, but I'm trying. 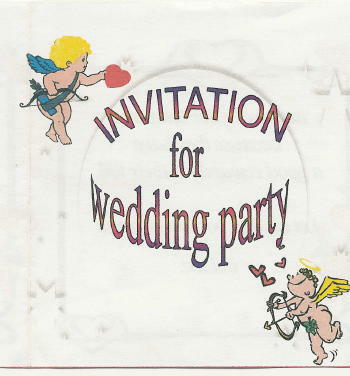 Uncle Victor, please send this invitation to all the Kubiks. I am hopeful that you will come July 27th...and will be waiting for your visit. 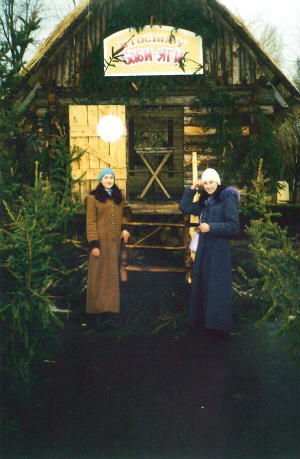 This is Ivanka and Tatianka who went to the Spring Festival that is held close to Dubno. It was very nice and cheerful there! 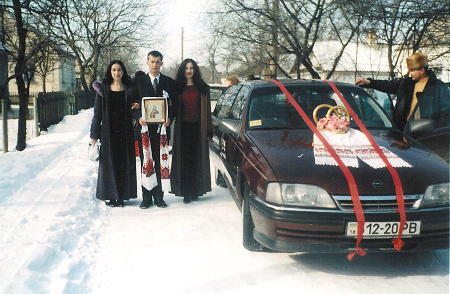 When Sashka got married [is this Lydia's and Volodya's son??] Ivanka and Tatyanka were bridesmaids. They were holding up Sasha and took him to the car which took them to the church.